Sentinel is designed for doctors, by doctors. We ease doctors’ workloads, deliver better care to people with hypertension and other chronic diseases, and improve efficiency within healthcare systems. 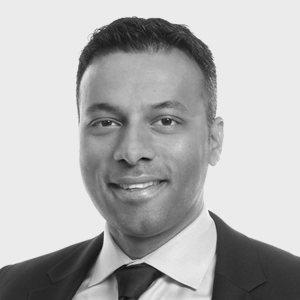 Nirav Shah is an experienced neurohospitalist and served as the stroke director of Swedish Neuroscience in Seattle, the largest stroke program in the Pacific Northwest. Nirav was inspired to create Sentinel while completing his fellowship in vascular neurology at the University of California, San Francisco, where he cared for patients with stroke and chronic hypertension in the emergency department and piloted the development of a stroke prevention wearable. He received a B.A. from Northwestern University, an M.D. from Indiana University School of Medicine, and completed his neurology residency at the University of Miami. Jorge Sanchez is an internal medicine hospitalist physician who works with underserved Latino populations and rural healthcare systems. Previously, he co-founded a hospitalist company spanning South Florida, which he successfully exited. He has published research on hypertension and was a clinical professor at Rutgers University Medical School. Noah Manders is a software engineer and product management professional with deep expertise in healthcare. Formerly focused on healthcare solutions at Imprivata, an IT security company, he has over 14 years of experience developing software solutions for cloud, mobile, security, and healthcare IT. He has successfully built highly scalable healthcare platforms leveraging cloud and mobile technology. Rama Aysola is an internal medicine physician with extensive experience in clinical operations and workflow in diverse care settings in New York, Chicago, and Phoenix. Previously, Rama was the regional president for the nation's largest medical scribe company with oversight of business development and operations for a $50 million region. 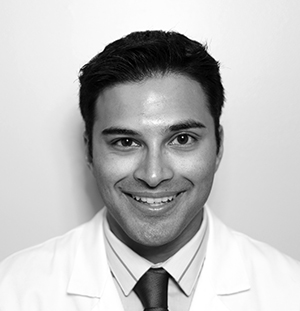 Rama is a Los Angeles native and undertook his medical training in New York City. Sarah Sutton is a scientific communications consultant who has led corporate communications strategy for private and public biotech and pharmaceutical companies across all stages of clinical development. She is an experienced grant writer and has helped to secure millions of dollars in grants and private funding for biomedical research. She received her B.A. at Brown University and her Ph.D. at Brandeis University. Tanzid Shams is a renowned sports concussion expert and a digital health innovator whose experience spans clinical neurology and startup companies. He serves as the director of neurology at Johnson City Medical Center/Ballad Health in Northeast Tennessee, and has served as a lead investigator for clinical trials of medical devices that evaluate head trauma. He received his A.B. from Harvard University and trained in neurology at Columbia University.